Maybe — just maybe — that ol’ Clinton magic could work just one more time. The good: It’s sometimes a tough task to get folks excited about Hillary Clinton (versus excited against Republican nominee Donald Trump), and Bill Clinton is one of the most uniquely placed people in the world who could so thoroughly humanize a politician with a reputation for being somewhat stiff. The way he literally zoomed through his own career highlights was incredibly touching and showed quite some vulnerability, if you remember the Clinton of the 1990s, who was certainly not shy from hamming it up. The bad: So much of the speech took place in the past. Necessarily, it had to, in order for Bill Clinton to paint the tapestry of his life together with Hillary Clinton, especially in his attempt to characterize her as a life-long change maker. But his age (his hands were shaking, I thought) emphasized that he was taking more about the past than the future, and a line about ‘more yesterdays than tomorrows’ only emphasized something very… well, tired, about the former president. At 69, he seemed every year his age. Compare that to the 67-year-old former governor Howard Dean, who looks like he hasn’t aged a day since his quixotic 2004 presidential run and who delivered a humorous and rousing speech on Tuesday as well. The upshot: It probably played very well with regular voters, because Bill Clinton has always had a knack for talking to voters in plain English. But for 16 years, he’s been the former president that has provided economic and security cover, first to his own vice president (Gore) in 2000, to John Kerry, now US secretary of state, in 2004 and to Barack Obama in 2008 and 2012. So much of the standard Bill Clinton DNC speech is a point-by-point takedown of the Republican talking points of the cycle. This speech was not that, and it’s probably for the best. 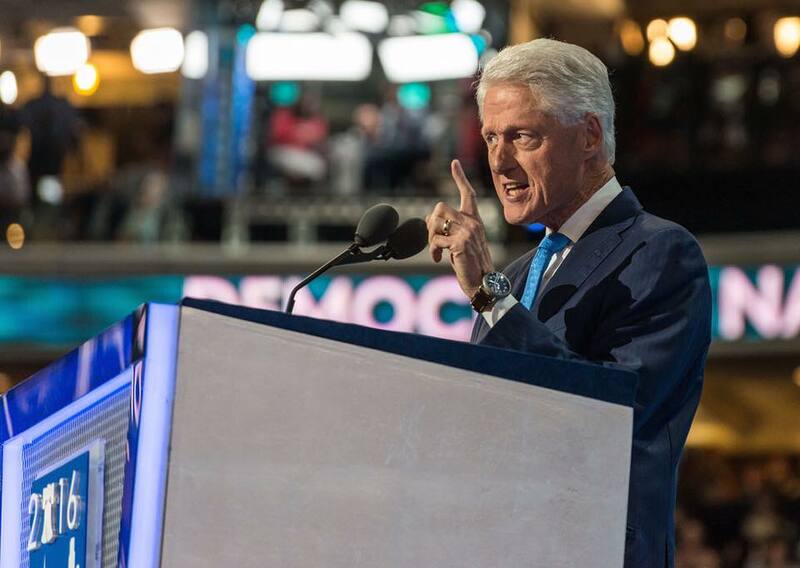 Bill Clinton is no longer in touch with the issues that motivate the American left (and especially the supporters of Vermont senator Bernie Sanders). Ironically, it seems like that role will fall tomorrow night to Obama, whose economic policies Bill Clinton so effectively defended in 2012. That, alone, is a major transition for Democrats, whose ideology today would hardly recognize a president who once declared that the era of big government was over.